In a battle between two injury-ravaged teams, the Utah Jazz overcame a slow start to pull away for a 118-97 road win over the Phoenix Suns Wednesday night. The Jazz (48-40), who played without Ricky Rubio (hamstring), Derrick Favors (back), Kyle Korver (knee), Jae Crowder (quad) and Danté Exum (knee), have now won six in a row and 11 of their last 12. 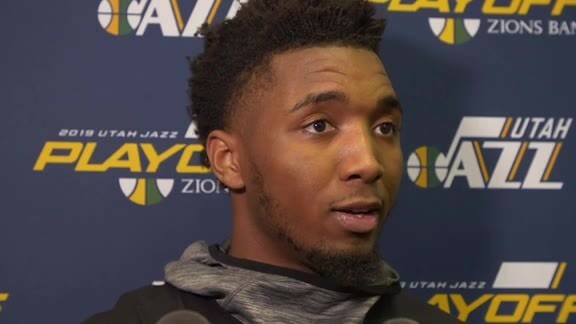 Donovan Mitchell (29 points, five rebounds, six assists), Joe Ingles (27 points) and Rudy Gobert (17 points, 13 rebounds, three assists, five blocks) led the way for the Jazz. Rookie Grayson Allen (14 points), along with Georges Niang (11 points) and Raul Neto (10 points), scored in double figures off the bench in the win. Allen had been waiting for this day since the Jazz took him with the No. 21 overall pick in the 2018 NBA Draft. The 23-year-old rookie had averaged only 9.2 minutes in 33 games this season, and he also suited up 12 times for the NBA G League's Salt Lake City Stars as he adapted to the pro game. Allen shot 6-for-9 from the field, including 2-for-5 from three, and his 14 points were a new career high. He added three rebounds and a block in 19 minutes. "I'm happy because it was about trying to stay ready and wait for an opportunity. It's unfortunate to have guys out and banged up a little bit, but for me, I just wanted to make the most of it," Allen said after the game. "This one means a lot. We've had to play through injuries a lot this year, and it helps that we've always had that 'next man up' mentality." Phoenix (18-61) played without Kelly Oubre Jr. (thumb), TJ Warren (ankle), Deandre Ayton (ankle) and Tyler Johnson (knee), and leading scorer Devin Booker—who scored 59 points in a 33-point loss to the Jazz nine days ago—turned his ankle just eight minuters into the game and did not return. Booker finished with eight points on 3-for-4 shooting. Richaun Holmes scored a team-high 16 points for the Suns, while rookie Elie Okobo scored 15 points and Jimmer Fredette chipped in 10 points and two steals off the bench. With Utah playing shorthanded, Ingles stepped up in big way, tying his career high with 27 points on 10-for-13 shooting. The Australian sharpshooter added five rebounds and eight assists, and he finished with a net rating of +14 in 35 minutes. Wednesday also marked Ingles' 300th consecutive game played, which is the longest active streak in the NBA. 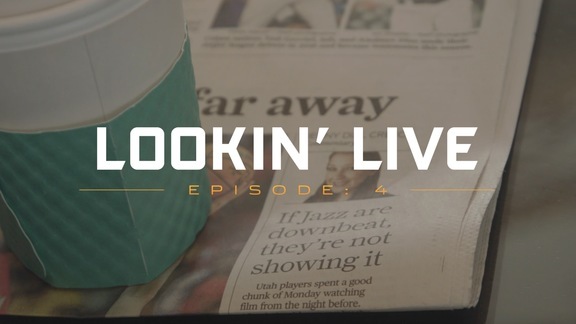 The Jazz quickly fell behind 15-2 before they started to crawl back into the game. Utah finished the first quarter on an 11-6 run and outscored the Suns 8-2 to start the second period. Allen entered the game and made his first four shots—including two 3-pointers—to help the Jazz tie it up, and they took their first lead with just under six minutes left in the first half. The Jazz took a three-point lead into halftime and then went on a quick 9-0 run early in the third quarter. Gobert threw down an alley-oop dunk, Ingles scooped in a layup high off the glass, and Royce O'Neale put in a transition layup to force a Phoenix timeout. After the break, Mitchell curled around a screen by Gobert and drilled a three to put Utah up by 10. Phoenix, though, cut the lead back down to two thanks to six points by Holmes. Gobert responded by stuffing Holmes and then running the floor to throw down a dunk while being fouled on the other end. Niang and Neto swished back-to-back threes to put Utah back up by 10 with just over three minutes left in the third period. Block #5 on one end. Another run by the Suns (8-0 this time) cut Utah's lead to five midway through the fourth quarter. From that point on, though, it was all Jazz, who closed the game on a 19-3 run. Gobert sank two free throws and, after a steal by Niang, Mitchell and Ingles went to work. 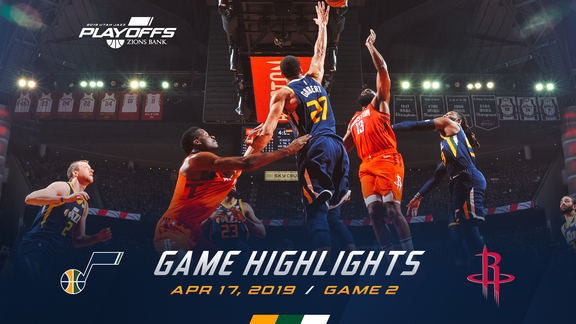 Mitchell hit a three and added a fancy layup and two free throws, while Ingles made all three of his shots, including two 3-pointers, before Gobert drove through the lane and slammed home the cherry on top with less than a minute left. Gobert set a new Jazz franchise record with his 63rd point-rebound double-double of the season, passing Karl Malone (1987-88). John Stockton holds the record for most total double-doubles in a season with 69 in 1991-92. Turnovers were once again a problem for the Jazz, who committed 20 (which led to 15 Phoenix points). The Suns only turned the ball over 10 times. Utah shot a red-hot 16-for-32 (50.0 percent) from 3-point range, with Ingles (6-for-8), Mitchell (4-for-7), Niang (3-for-5) and Allen (2-for-5) each making multiple threes. The Jazz have now made at least 10 3-pointers in each of their last 14 games. "We came out at the beginning of the third quarter and really defended well. That set a good tone for us. 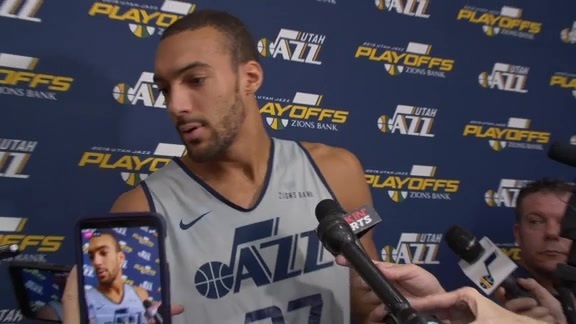 There was a stretch where we turned it over or shot it quick without a pass, but Joe and Donovan hit some big shots for us down the stretch." Utah went 4-0 against the Suns this season. ... The Jazz shot 57.1 percent from the field. The Suns shot 46.2 percent. ... Phoenix's Josh Jackson picked up a technical foul in the third quarter. ... Utah outrebounded Phoenix 45-31. ... The Jazz finished with 30 assists. The Jazz will return home to face the Sacramento Kings on Friday night. Tipoff is set for 7:00pm MT.